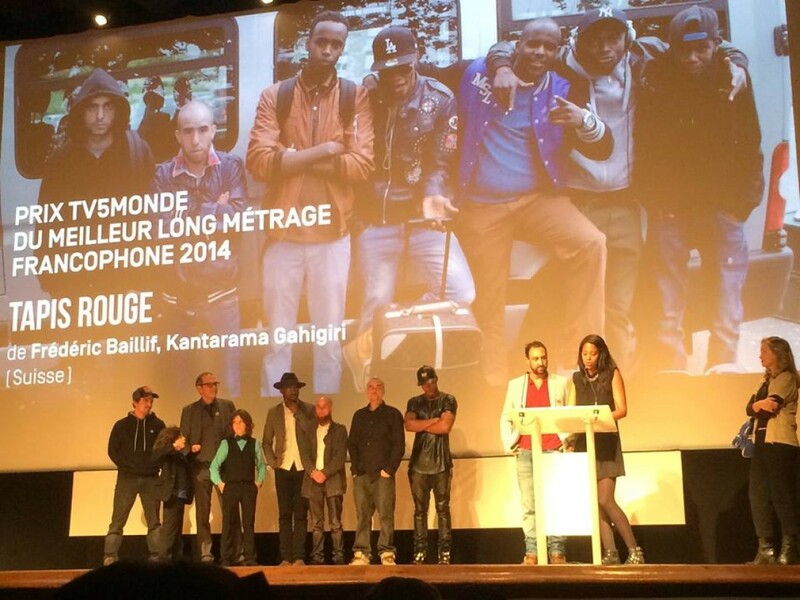 Circus Productions » Tapis Rouge wins TV5 Monde Best Film Award. Tapis Rouge wins TV5 Monde Best Film Award. November 2014, TAPIS ROUGE wins TV5 Monde Best French Language Feature Film Award at Geneva International Film Festival. We were all so nervous for the premiere. Tapis Rouge screened in front of a sold out room. 700 people is a lot… How amazing when at the end of the film they gave us a 10 minute standing ovation! I will never forget this day!